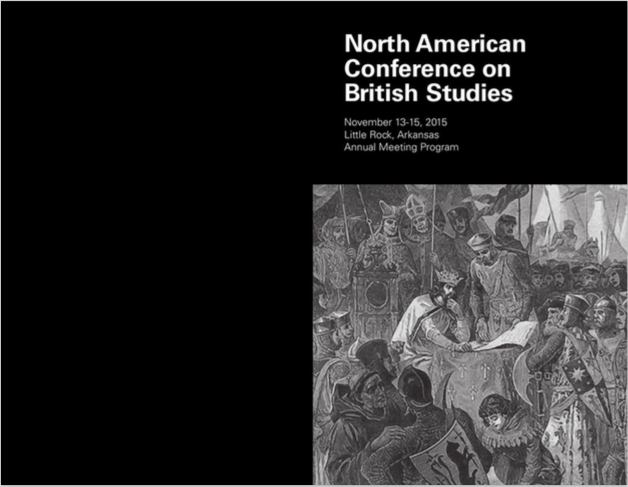 The NACBS and its southern affiliate, the Southern Conference on British Studies, invites scholars in all fields of British Studies to gather in Little Rock, Arkansas on November 13-15 for the 2015 meeting (held in conjunction with the meeting of the Southern Historical Association). Conference registration is required of all panelists. If you do not register by September 15, 2015, you will be dropped from the program. The registration fee, which is a lower fee than in previous years, includes the meetings, book exhibit, continental breakfast each morning, coffee/tea breaks at mid-morning and afternoon, a Friday evening reception (hors-d’oeuvres and cash bar) in the conference hotel and a Saturday evening reception at in the Center for Arkansas Studies, a short walk from the hotel. NACBS conference participants will also have access to the Southern Historical Association meeting. Click here for information about the SHA meeting: http://sha.uga.edu/meeting/. NACBS members will not need to register for the SHA conference. If you would like to receive the member discount on registration, please follow this link to purchase a membership, renew your membership, update your membership information, or login as a member. The 2015 NACBS meeting will be held at the Doubletree by Hilton Hotel in downtown Little Rock. The hotel is fifteen minutes from the Little Rock National Airport. The Doubletree provides a complimentary hotel shuttle, which picks up from the airport on demand, and departs from the hotel to the airport every thirty minutes. The Doubletree is within walking distance of many attractions such as the Old Statehouse Museum, the William J. Clinton Presidential Center, the River Market District with restaurants, live music and shopping, and the Arkansas River Trail. The hotel is also quite close to an inexpensive trolley provides easy access to the River Market and beyond to North Little Rock. The NACBS conference rate is $119 single or double. You must register by October 22, 2015 to get this rate. The rate applies to only a limited number of rooms. We urge you to stay at the conference hotel, and to reserved your room as soon as possible. Room prices includes complimentary Wi-Fi. The submission website is available here. Submissions will close as of March 3, 2015.